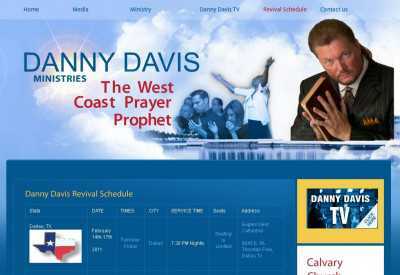 NoEvilOil.com redirects to the Danny Davis Ministries website, www.pastordannydavis.com. 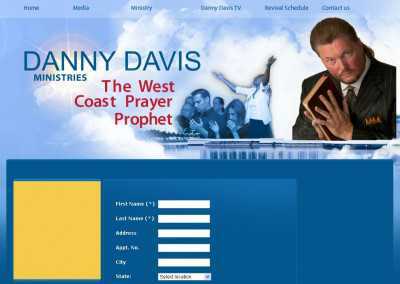 Davis is known as “The West Coast Prayer Prophet”, and on this website you can both learn about his mission, and have access to media clips where he is spreading the word of God. You can actually watch him live – just check out the “Danny Davis TV” section. You’ll get to watch services in real-time, and also review some of the most recent miracles. And if you find Davis’ delivery appeal, then you can check out where he is going to be next by visiting the “Revival Schedule” page. There, you’ll be told the time and place of his next services. And you’ll also get to know important information such as the seating capacity of the venues he’ll be speaking at, so that you can plan everything more carefully. As you’ll be able to see on this schedule page, in addition to traveling through the US Danny Davis also tours Europe regularly. The site also makes it possible for anybody to place a prayer request. Just visit this page to get started. You’ll be asked to fill in a short form with some basic contact information, and explain exactly what do you need spiritual assistance with for your request to be duly processed.